J.M. DeMatteis's CREATION POINT: THWIP! As I’ve said before, Spider-Man is real to me, I totally believe in him. There are theories in both mysticism and quantum physics that say our thoughts, dreams and ideas manifest on other-dimensional planes. I believe that somewhere there really is a Peter Parker, created out of the energy and love that Lee and Ditko poured into him—and all the passion poured onto the printed page by the artists and writers who followed them. In the big picture, polls and awards don’t mean much, but it's always nice to be appreciated, to know that my work has had lasting impact. More than that: It’s a genuine honor being associated with one of the greatest characters in the history of comics. Long may he thwip! I'll never stop telling you that you deserve to be on the top of the list. One thing I can say is that if someone asks me to read a good spider-man story i give him my copy of Kraven's last Hunt and, after that, The Child Within. And I'll never stop thanking you, Aries! David, Stern, DeFalco, Michelinie: all terrific writers. In fact, there have been a legion of first-rate writers on the Spider-books over the years, which is why I was so delighted to find myself in the fourth spot. I'd love to see "The Child Within" collected. 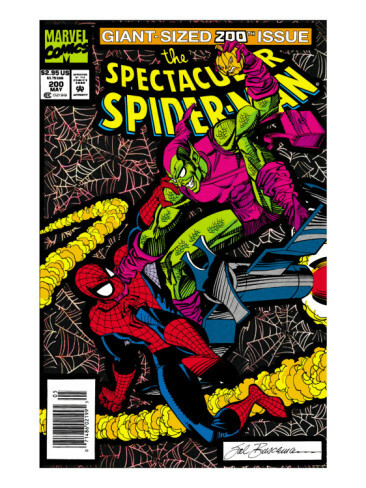 In fact, I'd love to see my entire SPECTACULAR SPIDER-MAN run collected. One of these days, I hope! I'd really love to see all that run collected too... but I think you will be glad to know that in Italy we actually had a collected edition of "The Child Within". "Il Bambino Dentro!" I love it, Aries: thanks for sharing that. Now if we can just get one published here, I'll be a happy man. A BIG CONGRATS, JM. You deserve it! I agree with your personal list, as well. Stan's gotta be there. Conway and Stern as well, and many others with very honorable mention! It would also be nice--and very smart on their part--to involve you in the next Spider-Man movie (after the latest makes a bunch of money and the follow-up is greenlit). Either as a writer, a consultant or even in an on-camera cameo with Stan Lee! Cheers! Thanks, A. Jaye! I'd love to be involved with the Spider-Man films in any capacity; but you'll excuse me, won't you, if I don't hold my breath waiting for the call? That said, a cameo alongside Stan would be great. I'll even write my own lines! A JMD penned Spidey movie would be the best thing ever, but I'd settle for a cameo. Maybe you could turn yourself in to Officer Stan for the murders of Kraven, Harry Osborn, and Aunt May! 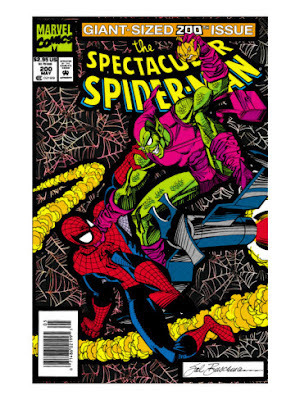 I need to say that I started to read Spider-man around 1990's - here in Brazil we have some "time delay" from the actual american publishing dates, so I read a lot 1980's in that time - and the Spidey's stories that I really liked you were the writer. I still love the drama and the comic spirit and the way you put Petey and MJ - all their problems, and love, and webs - and some days ago I watched a new Thundercats episode that you were in the credits as writer and I felt all the feelings and emotion from the time I was a nerd teenager fascinated for Peter and MJ, and I said: "Man, that's DeMatteis. This sir knows how to make me cry". I believe you. Characters like Peter are real in some way in some time in some world. I believe it too. They are a kind of "demigods" for us, but just normal to themselves. So glad my work can still touch you after all these years, Luis. It means the world to me. And who knows? On some other dimensional plane, Peter Parker may be reading a story about the TWO OF US and wondering if -- somewhere, somehow -- we're real and not just fictional characters. The universe, after all, is a very large, very strange and very magical place. Yeah, master, that's so right. In Italy we ask to Marvel licensee "PANINI COMICS" for an Onnibus with all your work on Spectacular Spider-Man. I'll love to have it. That's something I'd love to see, Francesco. Let me know if it comes to pass! Be sure to let me know, Aries! Congrats JMD! Well earned and much deserved. Thanks for many years of being happily lost and found in the dreams of Peter Parker. I'll say tis an honour. As mentioned before, Kraven's Last Hunt is always well renowned. Keep up with the writing and any future Spidey stories you might write! Thanks, Frobman! When an opportunity comes up to return to the Spiderverse, you can bet I'll be happy to accept it. It's always nice to hang out with Peter Parker. ...the top 10 has two of your stories-- "The Harry Osborn Saga (Essentially Spectacular Spider-Man 178-200) rated the 10 spot and "Kraven's Last Hunt" came in at NUMBER ONE! Congradulations! Thanks so much, Steve! Frankly, I was surprised that KLH came in at #1. I thought for sure the top spot would go to a Lee-Ditko or Lee-Romita classic. But you won't hear me complaining. Very happy that the SPEC. SPIDEY stories hit the top ten, too, as they're personal favorites of mine. And the death of Aunt May in AMAZING #400, another personal favorite, came in at #12. I've said it before and I'll say it again: In the big picture, polls and awards don’t mean much, but it sure is nice to be appreciated. I am deeply grateful.